The Six Engagement Principles and Five Asks are a set of proposals developed by the Norfolk VCSE Sector Leadership groups aimed at developing a stronger relationship and equal partnership with the Public Sector. 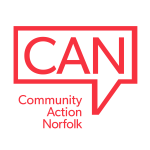 They are part of a response to the Norfolk Sector Led plan which outlined the VCSE sectors goal of building a strong equal partnership with the public sector. They also come at a time where public sector service reductions and an overall prevention focused approach are resulting in greater demands being placed on the VCSE sector. 1. To embed the Social Value Act criteria in all commissioning evaluation processes – carrying at least a 20% weight. The Public Services (Social Value) Act allows commissioners of public services to think about how they can also secure wider social, economic and environmental benefits. The Act is a tool to help commissioners get more value for money out of procurement but it also encourages them to talk to potential providers and service users to design better services, hopefully finding new and innovative solutions to difficult problems. Visit bit.ly/1UNiQWT for more information. 2. A set of evaluation tools to be identified, developed, published and recognised by both sectors, and used across organisations consistently to provide comparable results, which are then made available. 3. A forward plan to be maintained, highlighting key planning, service commissioning/development and strategic engagement opportunities. This will provide a detailed 6 months outlook, a 12-18 months general outline and a longer term guide on trends and areas of development. One plan is held across departments. 4. Any provider may request an open book review if they believe they are subsidising a contract. If this open book review identifies the contract value is below the cost price, the contract is then subject to a co-investment agreement that agrees the service specification and highlights the value of each party’s investment. 5. Any budget proposal that effects an external organisation is subject to an impact assessment done in consultation with that organisation. The impact assessment would include the effect of the proposal on the service and any knock-on effects on other services – this is to be done before these proposals are considered by committees, enabling elected members to take decisions with a fuller understanding of the implications. More information about the Six Engagement Principles and Five Asks is contained in the attached document.